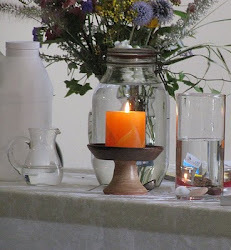 UU A Way Of Life: Morning meditation - Where is the altar of truth? Morning meditation - Where is the altar of truth? "Miracles reawaken the awareness that spirit, not the body, is the altar of truth. This is the recognition that leads to the healing power of the miracle." As a society we are fixated on our bodies. Products are sold to improve the physical appearance. We decorate them at great expense and obsess over the latest fashion. I was in a super market yesterday, and now that the weather is warmer, people wear clothing that reveals more of their bodies. I was amazed at the number and size of tatoos which people wear especially women. Do tatoos express a person's spirit? Does this body art indicate what is significant and important to a person? People seem more interested in decorating their bodies than they do their minds. The beautiful mind is awesome to behold. 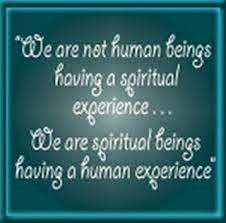 I was taught that my body is the temple of the Holy Spirit. It is curious how many of us allow our temples to become defiled. I guess it's a matter of priorities. What do we value? The Course says that it is our spirit that is the altar of truth. So, look past the body. Look through it. Beauty is only skin deep. You can't tell a book by its cover. Some people do not regard tattoos as a "defilement." Joe's tattoo on his chest is an image of a valknut; the tattoo is visible in the picture I have of him on my blog. The valknut (which means "Knot of the Slain") is the symbol of his Lord, Odin. Getting that tattoo was his way of marking himself as "fulltrui" or fully faithful to the Allfather. Tribal people have a very long tradition of various types of ways to mark the body in sacred ways - tattoos, piercings, scarification of some sort.